As an update to this post: spread mulch where you would have put rock. Read along about how taking permanent action against a short term problem, creates even more problems and stops permanent solutions. While we were in Colorado there was a trend to rip out anything that was growing and replace it with a gravel landscape. Every time I saw someone ripping out their grass to do this: I wanted to throttle them. Here is why: rock is not low maintenance. I understand those who don’t garden are looking for a low maintenance option for their yard. Please. I beg you. Do not put gravel across your property! An example of what a rocked yard looks like after a few years. Now it might seem counterintuitive to hear that rock is not low maintenance but rocks do not stop weeds. Sure: you might like the way it looks the first season you have it down, but gravel and rock are permanent. The problems associated with gravel and rock are permanent too. #1 You can’t rake up the leaves or other plant debris that drift into your gravel landscape. 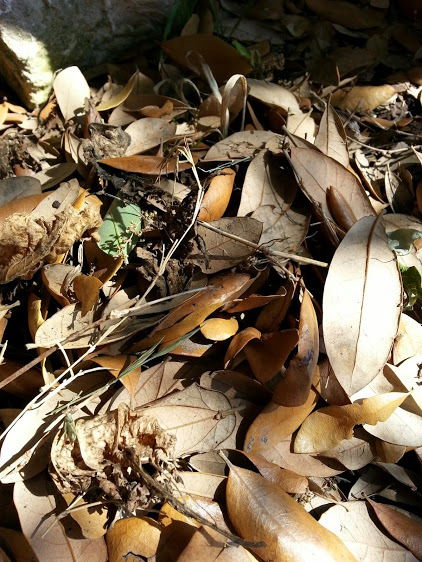 Nature makes soil out of leaf litter. If you put rock down, the leaf litter will still come. It will create a layer of soil on top of your rock. At some point the rock layer and soil layers will become a single unit. Your gravel will look just like you want it to for about a season. However, as soon as you put it down: you will have things blow into your yard that you will need to pick up by hand. This will be an almost insurmountable task and delaying picking up organic matter will only create pockets of composted material (aka dirt) that weeds will take root in. #2 Rock is expensive, it takes an enormous amount of effort to put it down. It is even harder (and way more expensive) to remove it. 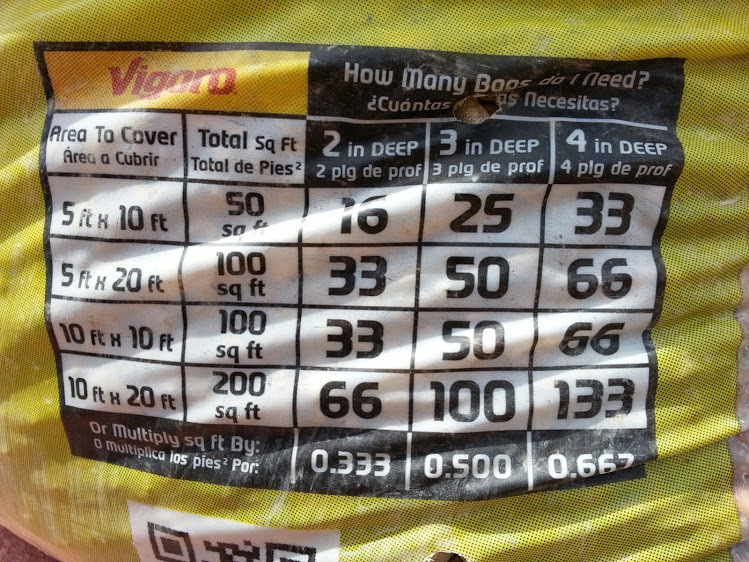 Pea gravel runs a little over $4 a bag. If you are considering having a truck deliver a load from a local rock yard: you will also need to factor in the delivery fee into your quoted price. You will need an enormous amount of rock to be successful. Digging out rock is a lot more labor than spreading it. It is backbreaking work to try and remove gravel because you have to do it shovel by shovel full. Gravel that has been down a while will settle into the soil below it. To get it up: it will need to be dug out. I was stuck with a strip of rock in our last yard. I had several contractors come out and bid to remove the strip. I couldn’t afford to remove the rock. We are talking $500 to remove it! It was way too heavy and too much work to do it ourselves…and if you know my blog: I am willing to do a lot. Once gravel is down: you are pretty much stuck with it. Even if you manage to get it all up, you will need to find a place that will take it, and there will be a disposal fee for it. #3 Sooner or later you will end up with weeds. The weeds will find a small patch of soil between stones. All it takes is a few leaves drifting in and sticking in your gravel to give weeds something to grow in. The first plants to move into an area after it has been cleared are called pioneer plants. These plants will grow where nothing else will grow. 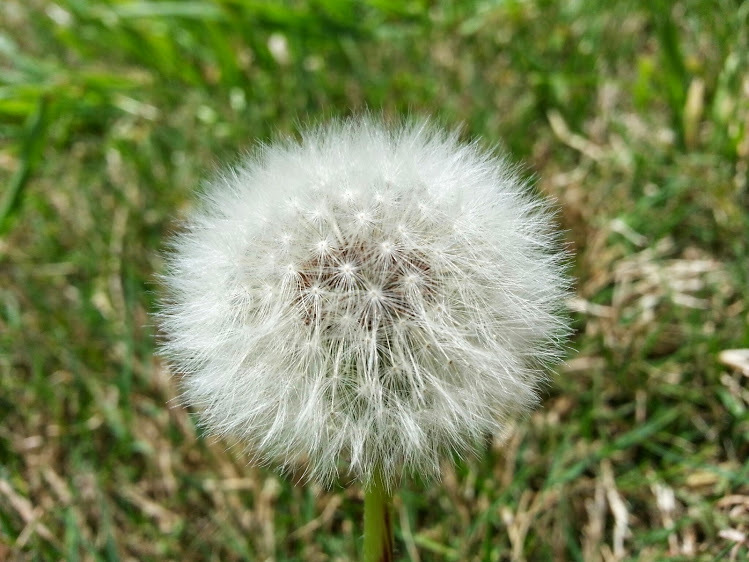 They usually have deep tap roots and are a pain to remove (Dandelions are a common pioneer plant. Nobody enjoys removing dandelions. In my experience though, the worst pioneer plants to pull from gravel are tree seedlings.) Pioneer plants are natures answer to events like fires, mudslides, overgrazing and volcanic activity. They also move in after man-made activities like clear cutting, grading land for development and in our farms and gardens. They will show up all over your gravel yard and they will require constant removal. #4 Weeding through gravel is really hard work. If you have ever had to weed through gravel that has been down a few years: you know that weeding gets harder the more settled the rock gets. I lived in a home that had lava rock and crushed rock that had been down for decades. I absolutely hated it. It was down so long that it was like someone had just mixed the surrounding soil with a ton of rock. I couldn’t remove it, I couldn’t weed through it and I couldn’t get enough out with my shovel to plant through it. This experience showed me how permanent the choice to rock a yard becomes. Rubbing your hands repeatedly on rocks while weeding will tear them up (and frequently bruise them) even with gloves. You will need to dig to remove most tree seedlings. The gravel will be in the way of the spade making for a frustrating experience. Rock is way too much work!!!! Herbicides aren’t the answer either. 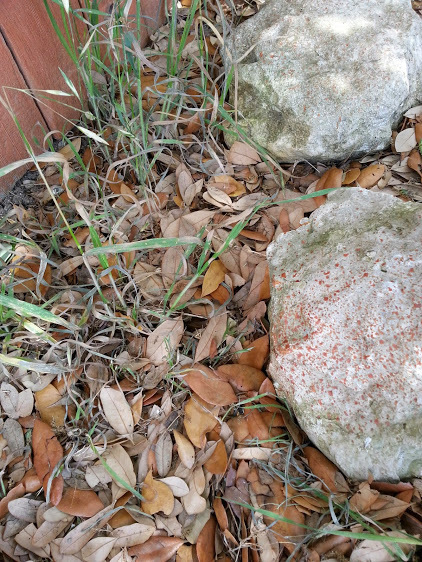 You can spray roundup all over your rock landscape but you are still going to have to pull the plant out after you kill it. Round up (or vinegar, boiling water, etc) doesn’t make the plant go away, it just makes it stop growing, turn brown and look ugly. You will still need to dispose of the plant. I don’t use spray in my beds, I prefer to hand pull weeds. Normally, in decent dirt, it’s quick work. In gravel or between rock: it is a long and laborious process. Removing things like grass around rocks takes a while. It frequently means you need to move the rock to remove all of the weed. My advice for weeds is: put on some gloves, grab a large screwdriver to dig out taproot plants (like dandelions) or get a hoe and remove the plant directly. 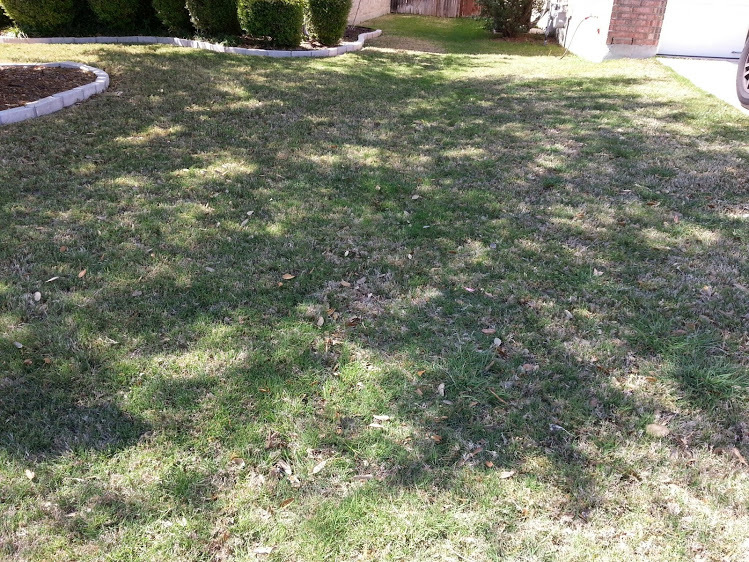 Outside of use in maintaining a large grass lawn: I think herbicide is a waste of money. Spraying gravel with herbicide leaves the plant. You will still need to remove the plant, so why bother with the spray? You can use a pre-emergent herbicide across gravel if you already have some rock down. This will stop seeds from sprouting, but it is still a chemical and you’d be better off without the gravel in the first place. Weeding torches will remove the weed but they scorch rock. You also have to know what you are doing if you are going to use a torch. In a dry area you could easily start a fire that you can’t control. My beloved stirrup hoe! (Like the one in this link. Some stores call it an action hoe.) I love it because it is super fast and I don’t have to bend over to get most weeds. You could use this in deep pea gravel but it would eventually ruin the blade on the hoe. Here is a good comparison of different weeding hoes: link They recommend a different kind of hoe. When my stirrup hoe dies I may try a different kind. 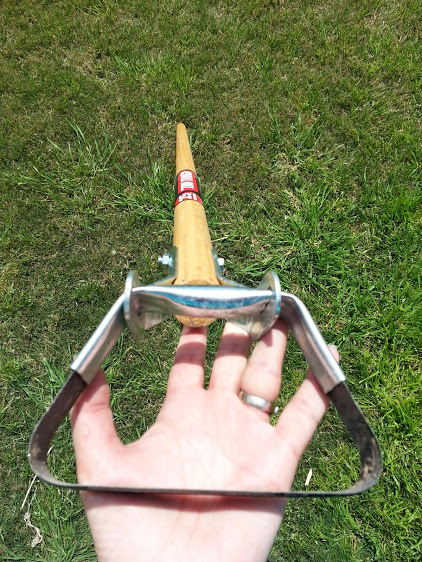 Right now a stirrup hoe is my favorite way to weed. #5 Most people don’t read up on how to lay rock mulch correctly. Most recommendations I have seen say to use a minimum of 3 1/2 inches but 5-6 inches is ideal. 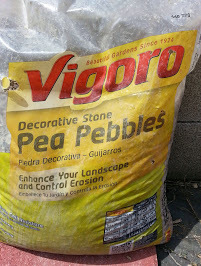 At over 4 bucks a bag…pea gravel is an expensive option. For a rock mulch to work it needs to be deep. To keep weeds out of the soil below you need to use a heavy duty landscape fabric underneath the rock. No matter what you do though: eventually you will end up with leaves and other organic matter over the top. These will eventually break down, fill in the spaces between rocks and support weeds. #6 Rock does nothing to alleviate the heat island effect. Rock reflects and absorbs heat. Plants create shade. There is a phenomenon called a “heat island”: the more pavement, the more asphalt and the less natural shade: the higher the ambient temperature. 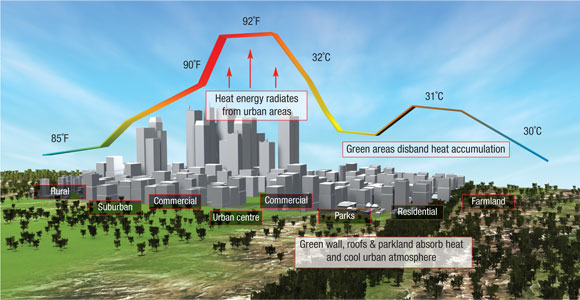 Cities are especially affected by this because flat (often man-made) surfaces are much better at heat retention and absorption than natural surfaces that have variations in depth. If you think your summer is too hot: look around and see if there is a way to create some shade. City temperatures are up to 10 ̊ F (5.6 ̊ C) higher than rural areas. Here’s a government site that explains this: http://www.epa.gov/heatisld/resources/pdf/HIRIbrochure.pdf People in cities frequently equate their personal experience in a heat island with global warming. These are two different things, but if you don’t understand the two you aren’t going to be able to create solutions. Cities wouldn’t be so damned hot if they were designed with heat in mind. Examining satellite images is a simple way to visualize what causes the heat island effect. When we were looking for a home I searched areas by looking them up on Google maps using the satellite image setting. I was completely awestruck with the amount of asphalt and concrete housing developments create. Even within the same developed area you will easily see what causes the huge discrepancies in the ambient temperatures caused by heat reflective/absorbing surfaces. This housing area has unshaded: grass lawns, streets and sidewalks. There are a few immature trees. There is almost no shade to relieve summer heat in this area. Here’s an example of what high density living does to the heat island effect. There is almost nothing but asphalt road, asphalt shingles and concrete. 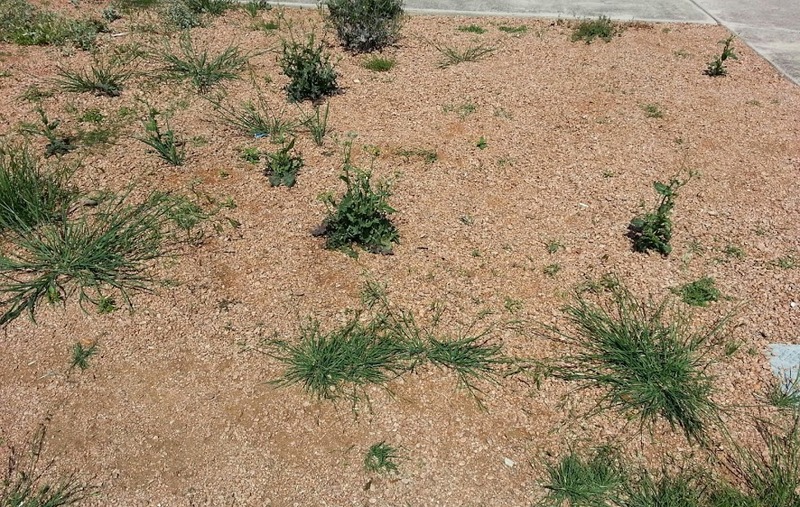 People who live in apartments and town homes don’t have yards to take care of, but they are completely surrounded by the worst of the heat offenders. I would imagine it is pretty miserable outside in the summer in this area. Here is a good shade example: These houses are benefiting from the shade of mature trees. This area has intense shade. The trees are so large that you can’t see the homes. You can tell the streets and sidewalks are shaded. These people probably can’t have a vegetable garden, but their homes are going to cost less to cool and their yards will be much more enjoyable. All of these examples are choices. 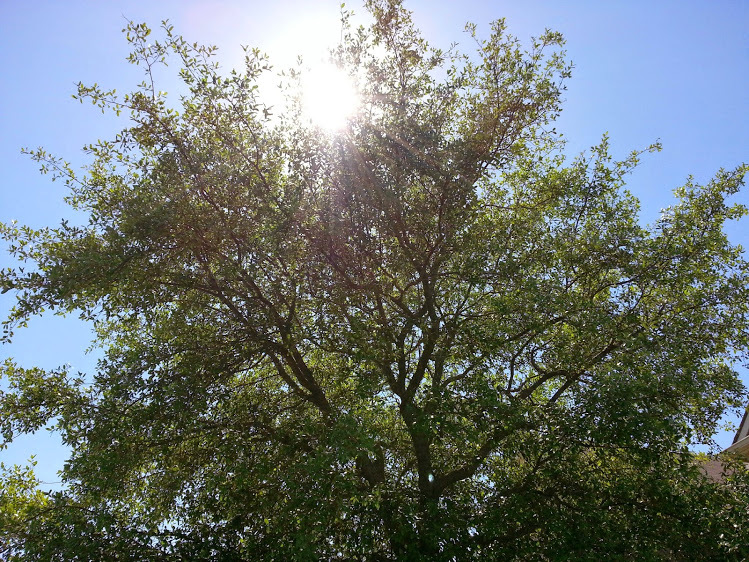 If the problem stems from having the original trees removed to develop land: the solution could involve homeowners who later choose to plant large shade trees. The choice of a resident in a high density home like an apartment could be: to show the managers and owners examples like what I have put in this article. See if there is room for more trees. If not: a balcony with a few plants can be a personal choice to add a little shade. Planters (of any size) around high heat areas can be an inexpensive way to start. Those who don’t want lawns can choose not to rock their yards and instead search for low maintenance perennials. There’s always room to apply solutions, no matter the size of the impact. 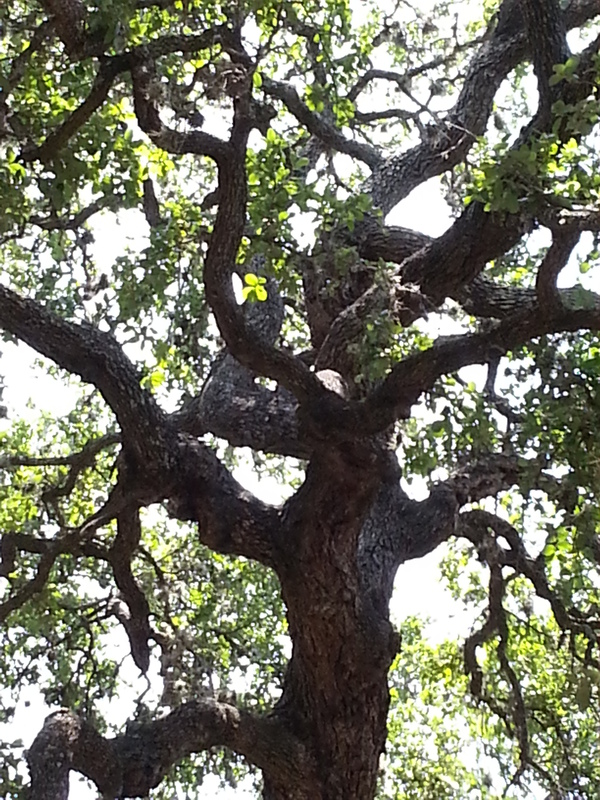 My neighbor’s tree graciously offers shade as I wait for the school bus. Trees need water, but unlike rock: they offer a solution, not more problems. If you see a problem and you know the answer: find a way to implement the solution. Solutions don’t need to be huge overhauls. Solutions start with one person who has the will to make a difference in what they have the authority to change. Make your personal changes while you share what you know with others. Nature makes shade. Man makes reflective surfaces. Unfortunately, down here (and in most of the world) the habit is to tear down trees, clear brush, cover everything in man made surfacing that is heat absorbing or reflective and maybe add some grass. In comparison to the natural state of things, we create some ugly (and not especially intelligent, in regard to heat) structures and surfaces. I’d never really noticed how different the satellite images are between the subdivisions and the country until we moved down here and I started looking at areas to buy a home. Miles of concrete and asphalt make heat islands possible. Trees can be a part of a larger solution. Rocking yards just contributes to the heat island affect. If you don’t want to take care of lawn grass: consider planting some trees, wildflowers and perennial ornamental grasses. Think about what the builders in your area had to remove to build your home. See if it makes sense to replace some of that original plant material. In your computer’s search bar: put the name of your county and “county extension”. This will pull up the county sponsored horticultural experts in your area. Hopefully you have access to local people who are Master Gardeners. Master Gardeners earn (and keep) that designation by volunteering hours educating the public. Don’t have anyone local? Find a university in your state. Most universities have an agriculture or botany expert. Use their expertise!!!! They should be able to point you towards people and groups that can help you. Extension advice is usually free. Most plant people are excited to share with new gardeners and want to encourage you to learn. You will also find pages of information on your local extension office website directly relating to whatever planting questions you have. Most importantly: you won’t feel so overwhelmed that you want to give up and rock your yard. To be successful: start slow and do your research. The tab at the top of this page called “Gardening Basics” will walk you through the process. If you choose to use the information provided: you will be able to make informed decisions and be happy with your property for years to come. If you are in a dry or hot climate you definitely need to create shade, so plant some shrubs and trees. 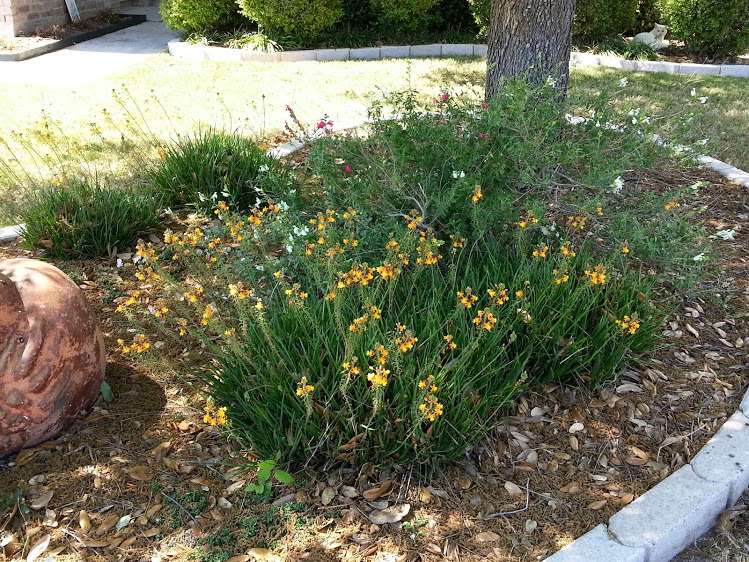 Native plants are usually xeric (low water) and fairly low maintenance. It is a combination of the terms xeros ξήρος (Greek for “dry”) and landscaping. 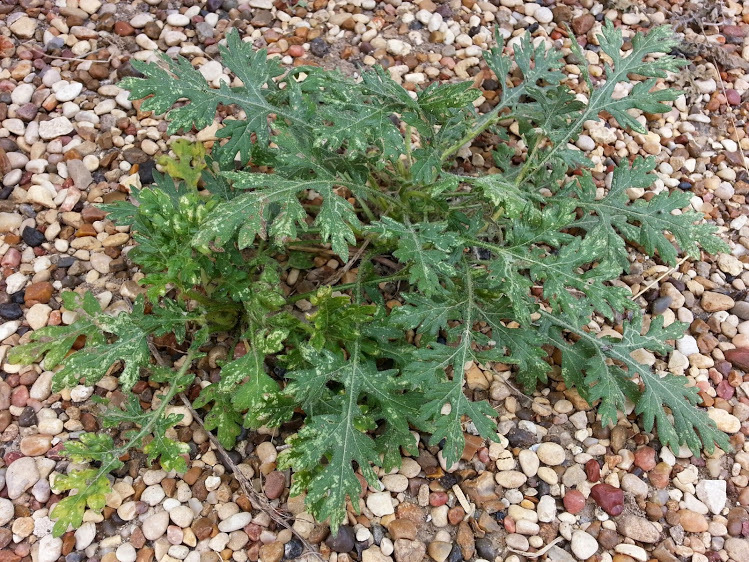 Look up xeriscaping online. High Country Gardens is a great place to start: Xeric Zones. They have a ton of great information. Their site is a great place to see xeric plant variety examples. You can get an idea of what you are going to get with xeric plants. xeric plant choices under a tree. Even if the native shrubs and trees for your area are some scraggly, funky looking varieties: it is so much better to add green and shade than go without! Native flowers are also better nectar sources than plants that have been bred for showy flowers. You will make the bees, butterflies and hummingbirds happy with native plants. Nature will not allow you to keep her out. She will eventually win, and those who fight her, will end up with a yard full of tall weeds that have lots of seed and insignificant flowers. Something will grow. You get to decide what that will be. 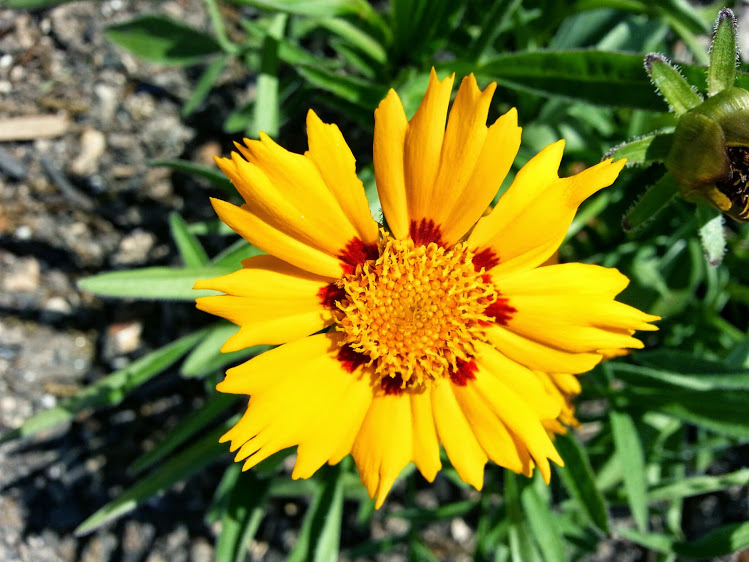 Tickseed (coreopsis) A beautiful spreading perennial that is long blooming. Go out and plant something: It’s important! Bloglovin’ at the top of this page.